With 35 years of insight and experience in designing and hands-on gardening, along with boundless enthusiasm and powerful communication skills, there’s no one better placed than Michael McCoy to lead you through the process of realising your own garden dreams. The Garden Design Coaching Course is a truly unique, five-week, seven-session program, for home gardeners who are setting out on a garden design project, or who are committed to improving the design of an existing garden, and don’t want to hand the job over to anyone else. Michael firmly believes that garden owners are uniquely placed to inject soul and true personality into their gardens, so is excited about this opportunity to empower owners to stay in full control and ownership of the exercise of designing their own gardens. “I’m grateful for the opportunities I’ve had to work alongside and learn from some of the world’s greatest garden minds, and for the privilege of designing and working in some of Australia’s best gardens on behalf of high profile clients. BONUS: you can follow Richard’s progress on instagram as he implements his garden design, simply follow ‘richard_creates’. 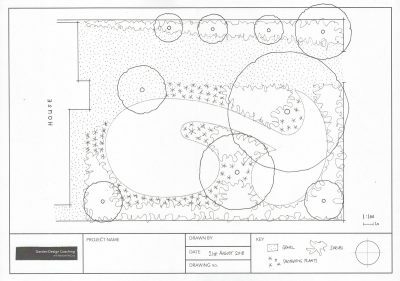 Attached is a copy of one of Richard’s site drawings. The Course Curriculum has been updated to include a one-on-one session at your home / project site. The maximum number of participants per course has been reduced to four people to ensure participants maximise access to Michael throughout the course. 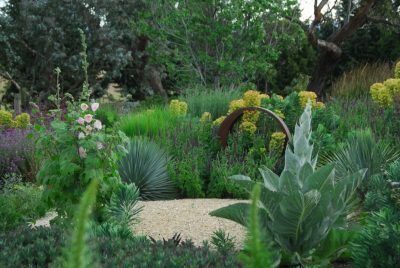 Each session of the course is specifically curated to deepen the understanding of participants about design principles and decision making, including how to define and manipulate spaces and the roles each plant group plays in your garden. Participants will complete the course armed with a comprehensive design brief, site drawings, image boards, course materials and the confidence to realise and implement their gardening project. To maximise interaction, intimacy and access to Michael, places are limited to four participants per course. Apply for the Autumn Course by pressing the button below and filling out your details. We will then be in touch with you within 2 business days to confirm your place. Why is it necessary to apply for the course? Information shared in your application helps us get to know you and your project better, ensuring the course is well-matched to meet your needs. Additionally, as the course has elements of peer-to-peer engagement, it’s important the makeup of the group is considered and balanced. What are the exact dates and times of the course? What is the time commitment required beyond the facilitated sessions? Homework is set between each session to ensure project plans progress meaningfully. We recommend students block off at least a few hours per week for reading, research and project development. Who is the ideal course candidate? Do I have to be based locally (in Victoria) to apply or attend? No. The course curriculum, materials and activities have been tailored to meet the needs of all participants, no matter how remote. By way of example, previous attendees have included participants from South Australia, New South Wales and New Zealand. It is expected that participants make themselves available for the two full-day sessions in Woodend (see dates above). Assistance in finding local accommodation can be provided. Please note, if your property / project is more than 3 hours commute from Melbourne, or requires air-travel, participants will incur the additional travel expenses for Michael’s project visit. What are the technology requirements of the course? As some components of the course are to be completed online ,participants are required to have high speed internet connection and either a webcam or a smart phone with a camera. Group webinar sessions are convened over ‘Zoom’ which is an easy to use, free to download, online video application. The intensive program has been carefully developed to take participants through a considered and proven process. Missing a session is not ideal, but it isn’t the end of the world. We’ll do our best to bring you up to speed with the information and experiences you missed. If you think committing the time is going to be a challenge we’d recommend you not apply. Complete online/phone access to Michael, course materials, garden access, all meals and refreshments. Participants are to cover their own travel costs as required. What is your refund and deferral policy? We understand that life can interfere and that plans change, and we’ve tried to create a refund policy that respects you and other participants. Deposit: We require a non-refundable $500 deposit to secure your position in the course and to accept our admission offer. Tuition: The total cost of the course is $4,250. The balance of the fee, $3,750, is fully refundable any time between the day we receive it and 21 days before the start of the program. Afterwards, no refunds are possible. We do appreciate notification of withdrawal as soon as possible so that we can attempt to fill your spot with another student who may be on the waitlist. Deferral: We allow one deferral per student. Deferrals are accepted up until 21 days before the start of the program. The course requires a minimum of 3 participants to proceed. We reserve the right to cancel or postpone the course if minimum numbers are not reached. Full refunds will be offered to successful applicants. Before the course commences, participants are to complete a site plan / features survey of the current layout. Participants will be guided on what information is necessary.